At Auto Glass Warehouse, we want to make sure you can keep your fleet on the road. With most companies that have big vehicles, they have many employees operating them every day. Having that many trucks on the road increases the probability of windshield damage to your vehicles. When you need construction equipment windshield repair, our technicians are here to help! Our staff knows you need to get your equipment back in working condition fast. Auto Glass Warehouse offers easy appointment setting, prompt arrival time and work vehicles equip to fully repair your vehicles back to working order as fast as possible. We will come to the site your equipment is located at, including but not limited to, construction sites, repair shops, warehouses, and repair the windshield right there. Each repair will be done with precision and expertise to ensure that the repair is to your complete satisfaction and working order. 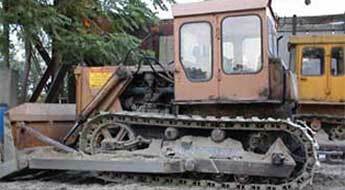 Most construction equipment serviced *please call our office to make sure your construction equipment is serviced. Our technicians strive to make your construction equipment windshield repair as easy as possible for you and your company. Once you call our office staff, they will assist you in making a appointment that is the most convenient for you. Most construction equipment windshield repair will be paid for by your company itself. To make this as easy as possible, we accept cash, master card, visa and debit cards. 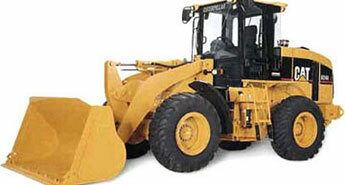 Insurance claims are not usually applicable for construction equipment and other heavy equipment vehicles. Our office staff will also ask you to describe the type of damage your construction equipment windshield has sustained as to verify that the damage is eligible for a repair. This would include, but is not limited to, the size of the damage must not be larger than a 1/2 inch, where the damage is located, as well as what damaged your windshield.